The peacocks haven't been seen for a little while, but you may remember, these were the trigger for one of my ledger pages. I quite like the style of these peacocks, they remind me of Assissi work. 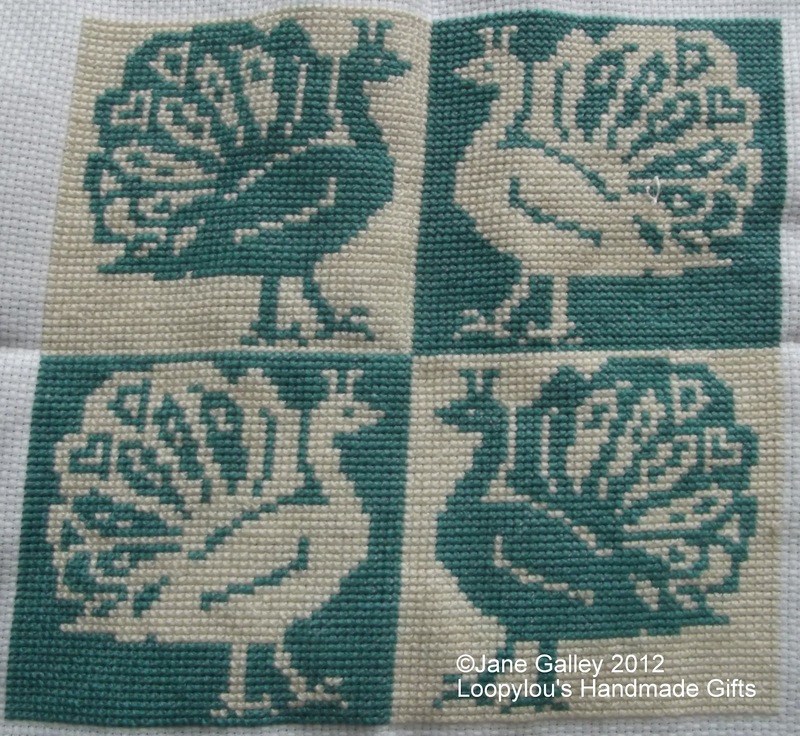 I've finished the cross stitching, but that's only the first stage. I need to look at fabric now, and make this up into a smal wall hanging. I'm hoping to find some with peacocks on, for the backing. It'll be lovely as a wall hanging. Fabulous colour. What a nice design. Peacocks are Gina's favorite...she may have a lead on fabrics. These are just lovely. I love the colour and the simple design. They must have been a joy after all the intricate stitching you've been doing recently. I also love how even your stitching is. Lovely Jane. Definitely has the look of Assissi work. These are really pretty! Again I wish I had the patience to cross stitch!